It’s entertaining and often gritty. 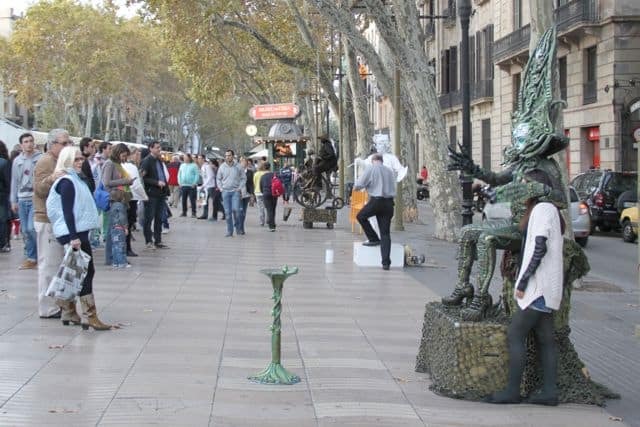 And it’s a must-see in Barcelona — Las Ramblas. 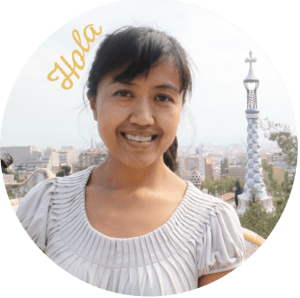 Before going, I wondered if we’d see Ronaldinho performing tricks of fancy footwork with his soccer ball or if we’d catch any illegal gambling along the pedestrian walkway. I’ve walked this street numerous times, and the experience is never the same twice. From its flower stalls to its human statues to its underhanded pickpockets, this mile-long stretch is an open-air museum in itself. I spent a breezy Saturday afternoon here with my husband and two smallies to check out the action. 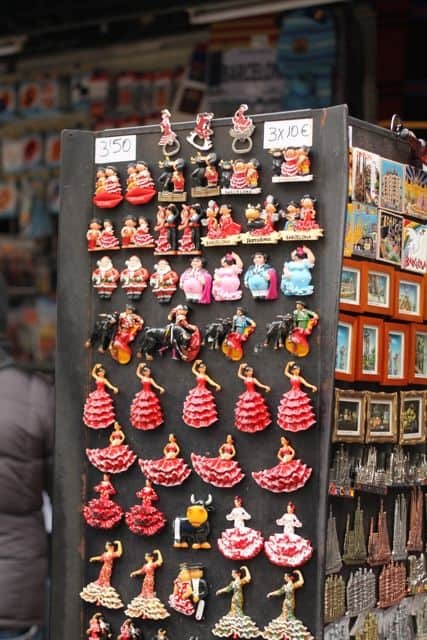 Spanish mementos attempt to lure the common tourist. 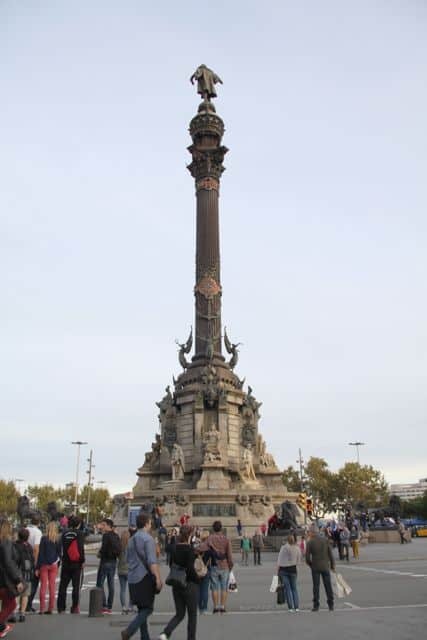 Las Ramblas is a main artery of the city, separating two barrios, Raval and Barri Gòtic (Gothic Quarter). 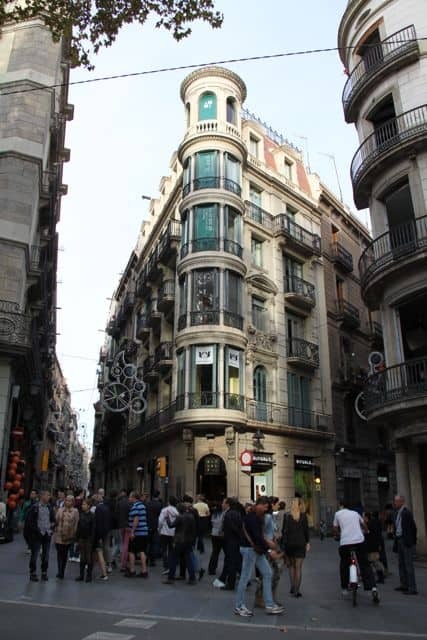 On the Barri Gòtic side, a curious building makes a beautiful corner of two alleyways. 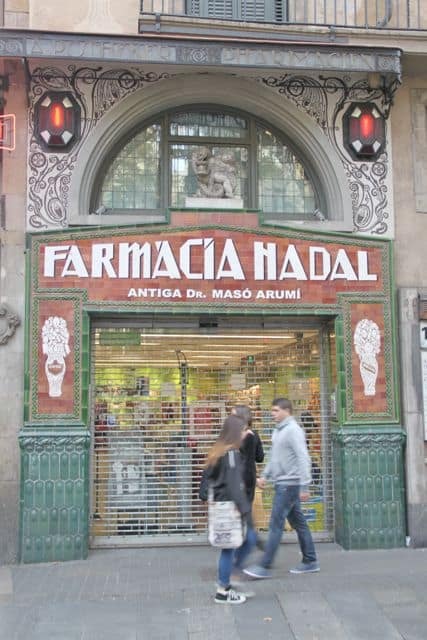 Art nouveau decor on this swanky-looking pharmacy. Would this be the fanciest place that you will have bought itching cream? 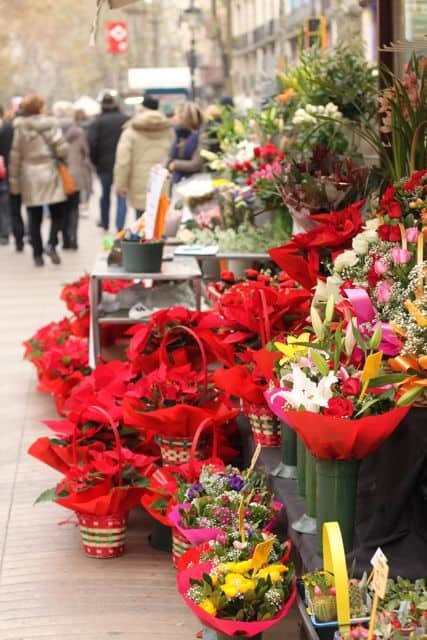 The flower stalls add some extra splash to the street. 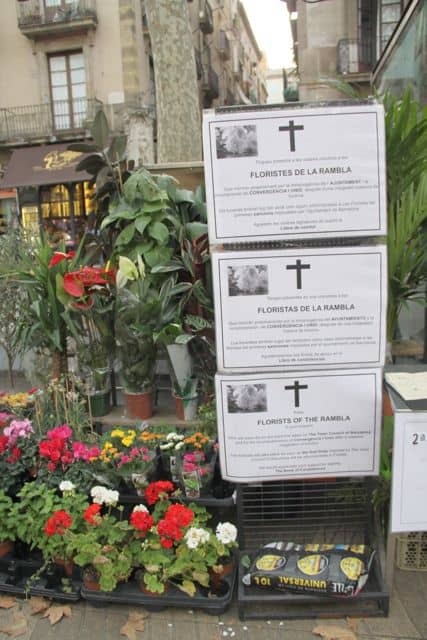 But it seems the florists of Las Ramblas and the City Hall have been at odds recently. 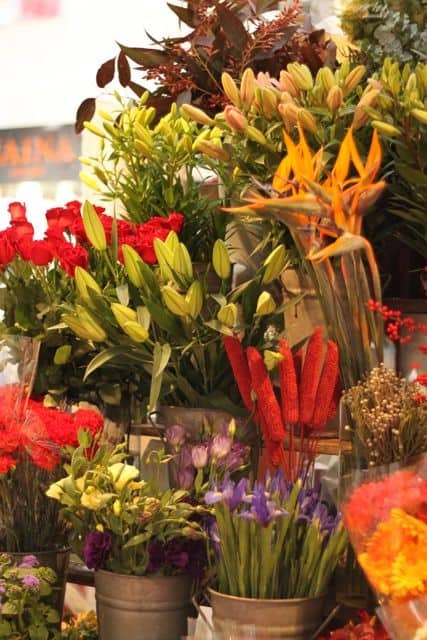 Florists are being heavily taxed, and they can’t afford to stay open. There are a few standing. RIP indeed. 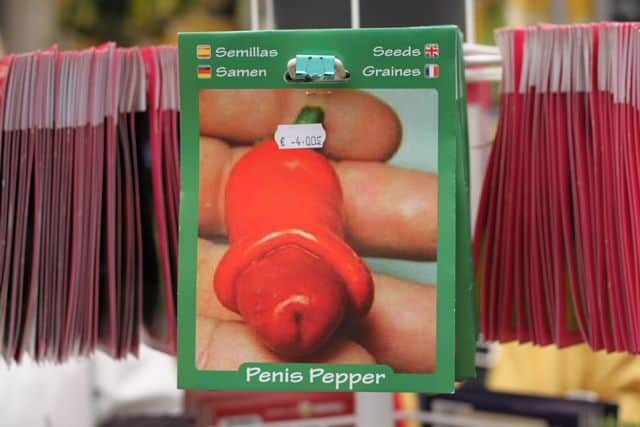 That didn’t stop some from selling these x-rated seeds. Could they have been a little less vulgar with naming the woman’s body part?? There also used to be lots of caged animals for sale on this street: rabbits, birds, snakes, and even city pigeons. They’ve since eliminated them because of ethical issues I believe. 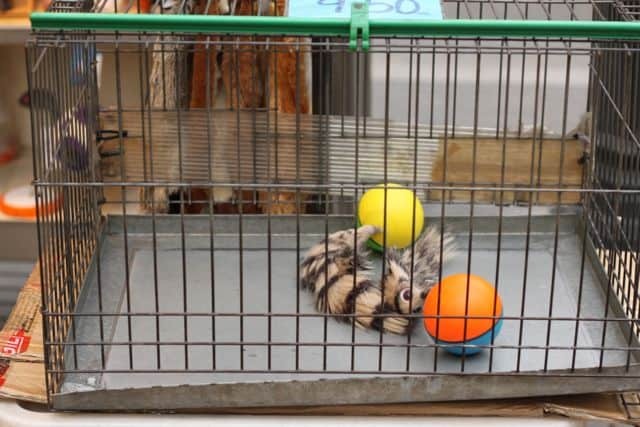 So the only animal you’ll see are these toy rodents chasing balls. The famous fresh food market, La Boqueria, is always swarming with tourists. 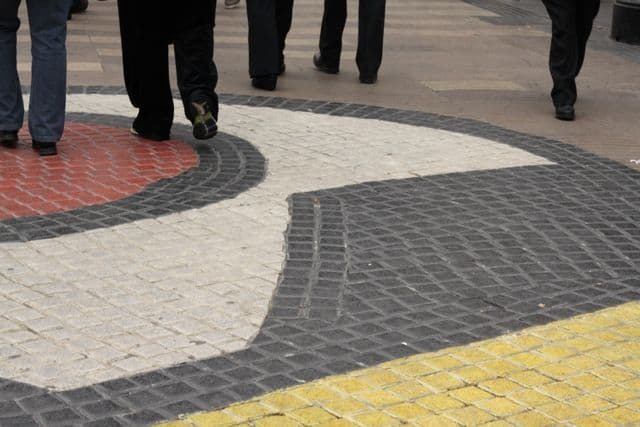 A circular pavement mosaic by famed artist Joan Miró, is embedded halfway down the street. A city of time contrasts. 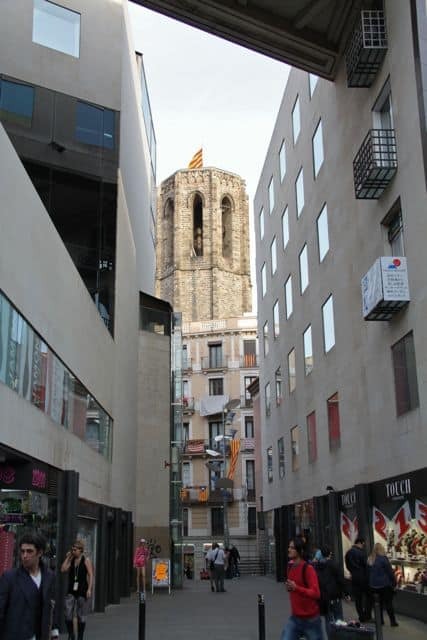 A tower of the 14th-century Gothic basilica, Santa María del Pi, peeks out between two contemporary buildings. 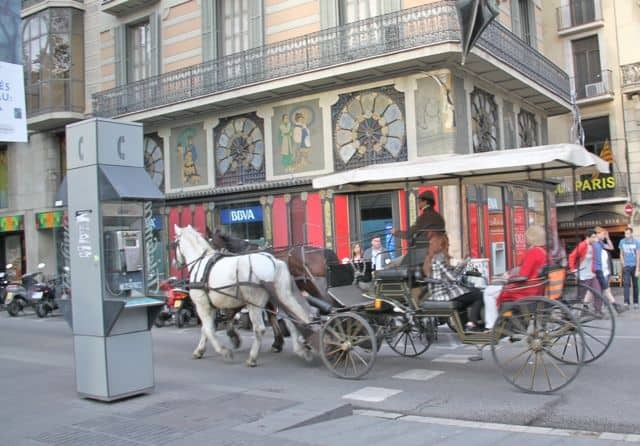 A tourist trap which might be fun — taking a casual ride in horse-driven carriage is a way to sightsee at Las Ramblas. Notice the Chinese-inspired building behind it, which happens to be a bank. 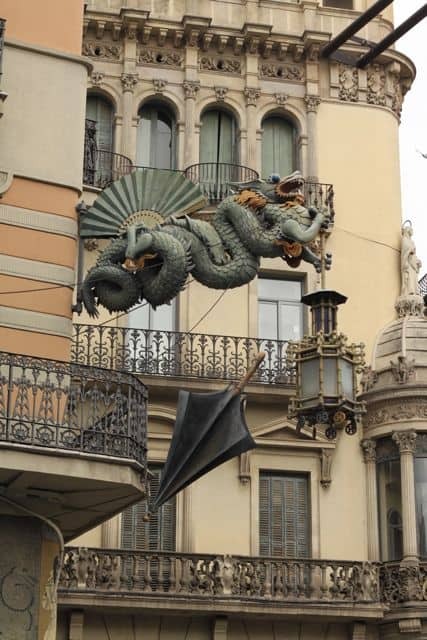 A Chinese dragon with a fan adorn the facade up above. One of the world’s biggest opera houses. 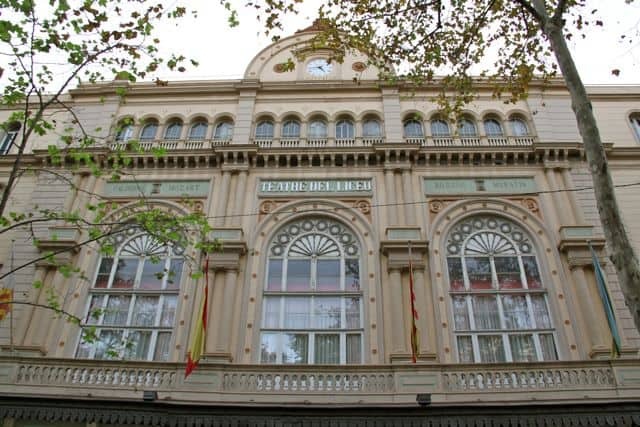 Gran Teatre del Liceu opened its doors in 1847, was burned in 1994, but was successfully rebuilt in 1999. It also showcases classic music and dance shows throughout the year. 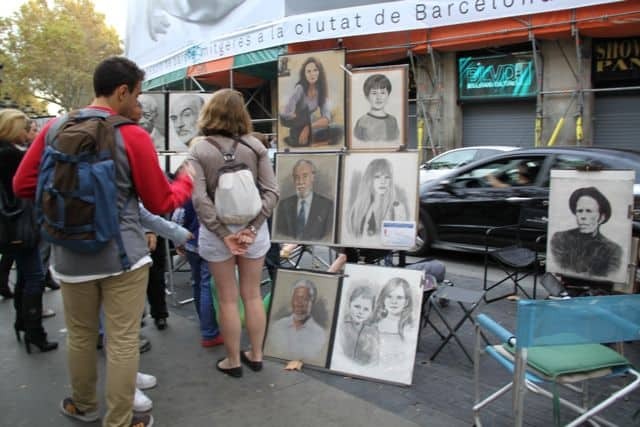 Heading towards the the bottom of the Rambla, several sketch artists offer to create a portrait of you to take home. Give ’em change, and they’ll put on a show for you. 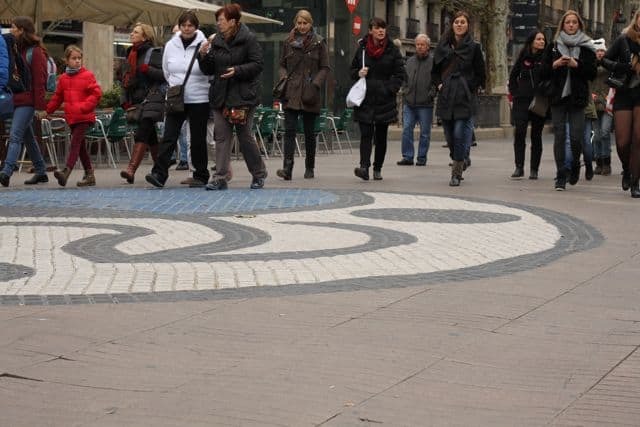 It used to be that the street performers were peppered throughout the strip. It looks like they’re confined to one part of it now. Nevertheless, they give the street life. I see artists come and go, but this one has been here for years. 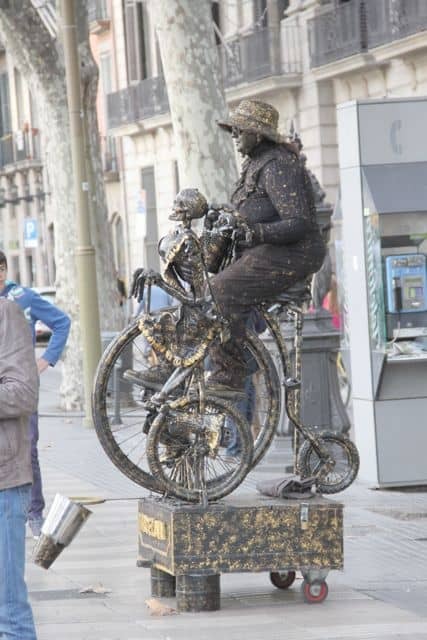 He’s a hat-wearing rust-painted man riding a bicycle next to a…skeleton…riding a bike too. I just noticed this. 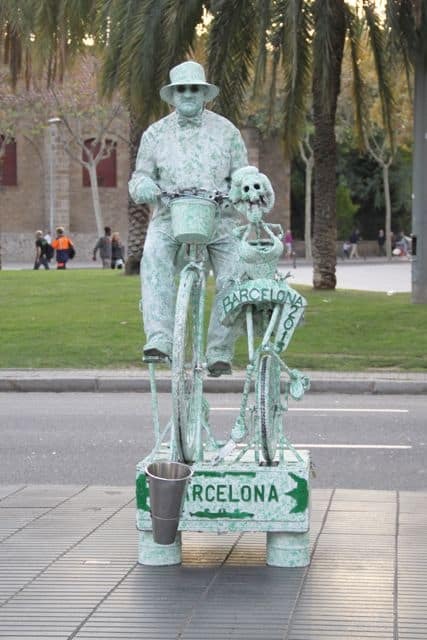 Now this is the mint-colored version of a hat-wearing man riding a bicycle next to a skeleton. Someone want to tell me why? I googled it but came up short. 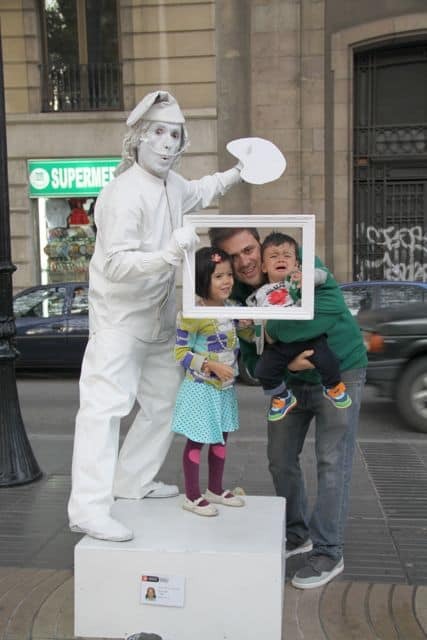 I convinced my husband and kids to have their portraits painted by powder-white Dali. My baby boy was not having it. Poor thing! A look back at our route. 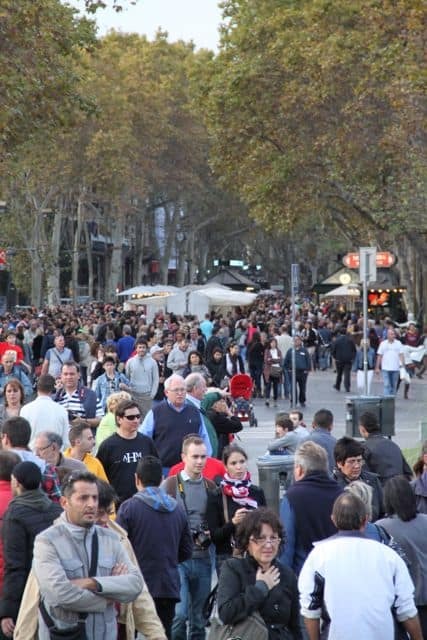 Throngs of Saturday revelers along Las Ramblas as far as the eye can see. 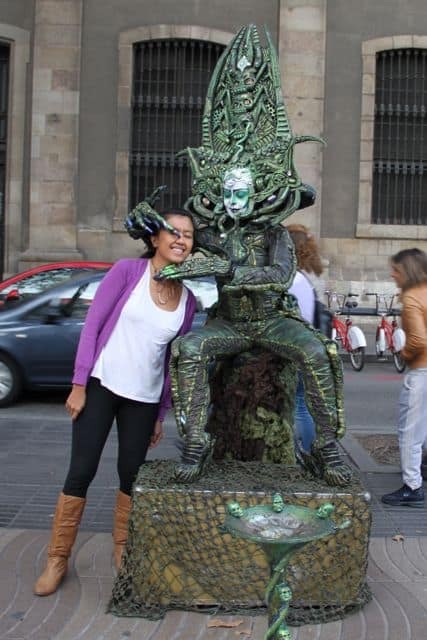 Ramblas is a beautiful place! I love it! 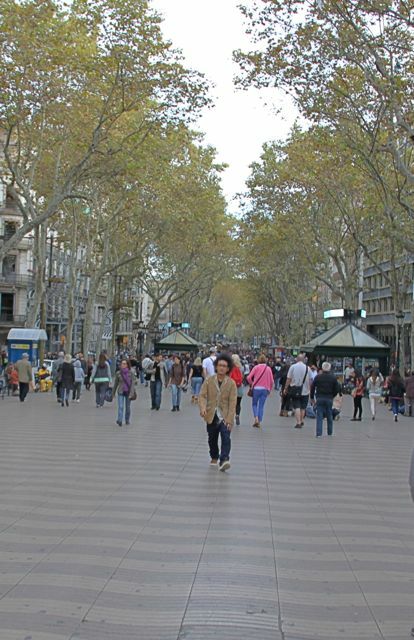 Last time I went to Barcelona I stayed with my boyfriend in a hotel in this fantastic street, and it was a great experience. 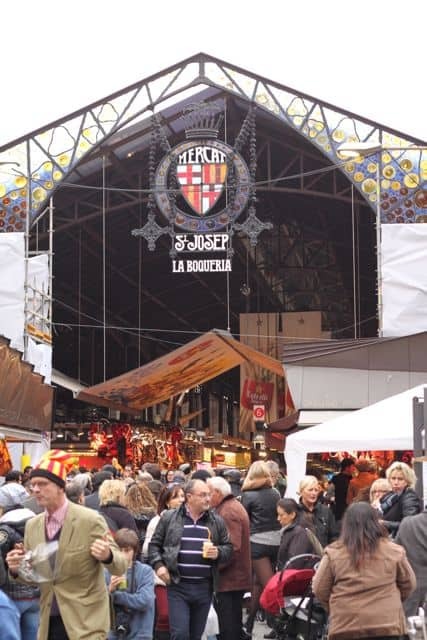 Every morning we went to Mercat de La Boqueria to eat something for breakfast… impressive market!